Our beautiful new Section F is bounded by a lovely white fence and our historic older section. 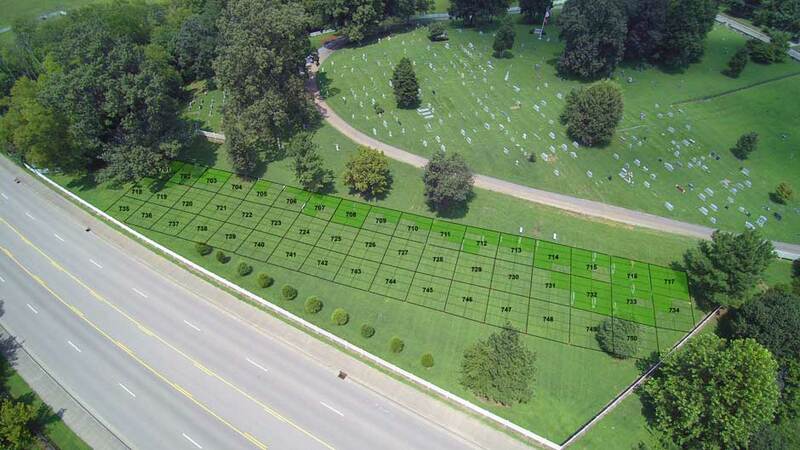 There are many attractive grave sites available, from a single grave to entire family plots. The darker green areas are plots that have been purchased, and there are still lots available in any section that is not a dark green. We welcome anyone interested to come and walk the grounds and if you feel this is the right place for your loved one, contact Mike Karnitz at 865-966-8219.